We now come to the formation of the philosophical systems, each having a set of aphorisms or sūtras with commentaries and sub-commentaries. Broadly speaking, the brahmanical position was unsparing in denouncing all the three of its non-Vedic adversaries, while the materialists had to put up a lone battle against all philosophical systems, Vedic and non-Vedic, but mostly against Buddhism, Jainism, Nyāya, and Vedānta. While the writings of the pre-Cārvāka materialist schools are unavailable, some fragments of the new, Cārvāka, school have come down to us. They can be divided into three kinds: (a) aphorisms (sūtras) and pseudo-aphorisms, (b) extracts from commentaries to the aphorisms, and (c) verses attributed to the Cārvākas[i]. The book of aphorisms was most probably compiled by Purandara, who is also credited with writing a short commentary (vṛtti). Besides the aphorisms that can be safely admitted as genuine, some others are of dubious authenticity. The distinction is made on the basis of the fact that some aphorisms are found quoted in several works with more or less the same wording. Those which occur only once may be marked as pseudo-aphorisms. The names of four commentators on the Cārvāka sūtras have so far come to light. They are Bhāvaviveka, Kambalāśvatara (“blanket-mule,” most probably a nickname), Aviddhakarṇa (“whose ear is not pierced,” probably another nickname), and Udbhaṭa-bhaṭṭa or Bhaṭṭodbhaṭa. That the Cārvāka system, very much like other systems, did not remain unaltered but saw its own development is borne out by the interpretation of some of the aphorisms offered by commentators in or around the eighth century[ii]. Udbhaṭa is the last of the commentators known to us. Jayanta and Cakradhara both speak of “old (cirantana) Cārvāka” and recent Cārvākas like Udbhaṭa. Udbhaṭa goes against the literal meaning of the aphorisms; he twists the meaning of words, which are made, almost under duress, to conform to the meanings preferred by him. In many respects he may be called a revisionist among the Cārvākas. However, what unites Purandara, Aviddhakarṇa, and Udbhaṭa is their assertion that, although inference based on perception can provide knowledge, inference based on authority (āpta) and verbal testimony (śabda or āptavākya) are inadmissible. So any statement concerning the existence of heaven and hell, god, an omniscient person, and so on is open to question. According to all of them, inference per se is not an independent instrument of cognition. Aviddhakarṇa and Udbhaṭa between themselves provide a number of arguments, both subtle and to the point, to establish this stand. Thus the extreme empiricism associated with older formulations of materialism is ameliorated by Cārvāka thinkers. Here are the Cārvāka aphorisms (sūtras). I.1 We shall now explain the principle. I.2 Earth, water, fire, and air are the principles, nothing else. I.4 Consciousness (arises or is manifested) out of these. I.5 As the power of intoxication (arises or is manifested from the constituent parts of the wine (such as flour, water, and molasses). I.6 The self is (nothing but) the body endowed with consciousness. I.7 From the body itself. + I.8 Because of the existence (of consciousness) where there is a body. I.9 Souls are like water bubbles. II.1 The world is varied due to the variation of origin. II.2 As the eye in the peacock’s tail. III.1 Perception indeed is the (only) means of right knowledge. III.2 Since the means of right knowledge is to be non-secondary, it is difficult to ascertain an object by means of inference. IV.1 There is no means of knowledge for determining (the existence of) the other-world. IV.2 There is no other-world because of the absence of any other-worldly being (i.e., the transmigrating self). IV.3 Due to the insubstantiality of consciousness (residing in the other-world). V.1 Religious act is not to be performed. V.2 Its (religion’s) instructions are not to be relied upon. Mādhava refers to Bṛhaspati as the author of a number of verses that are found in the Viṣṇu Purāṇa and in Buddhist and Jaina sources[v]. Buddhists and Jainas share some of the views of the Cārvākas. As we have seen, all the three were branded “negativists” by Vedists. Dharmakīrti, conversely, says of Vedism/brahmanism, that “Belief in the authority of the Vedas, and in some creator (of the world), desiring merit from bathing, pride in (high) caste, and practicing self-denial for the eradication of sins—these five are the marks of stupidity of one whose intelligence is damaged.”[vi] All three groups oppose most particularly the performance of annual rituals for departed ancestors (śrāddha) and sacrificial rites (yajña) with a view to fulfilling one’s heart’s desire, both in this world and the next. But the opposition of the two religious communities on the one hand and the Cārvākas on the other arose from different reasons[vii]. The Cārvākas deny something that is axiomatic to the Buddhists and Jainas, the doctrines of karma and rebirth. Since Cārvākas do not consider philosophy to be a means of emancipation from the cycle of rebirth (mokṣa, mukti, or nirvāṇa) but view it as a practical guide to life, they incurred the wrath of all believers in the other-world, brahmanical or otherwise. The Cārvākas do not think in terms of the four aims of life (puruṣārthas), namely, religious merit (dharma), wealth (artha), pleasure (kāma), and freedom (mokṣa); and this too marks them apart from others. We know from Epicurus’s own words that by pleasure he meant intellectual enjoyment, not eating and living like a pig—which is what Horace unjustly said of him. 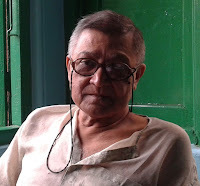 Jayanta, no friend of the Cārvākas, says of “Live joyously” that “being naturally established, a prescription in this regard becomes useless.”[xii] The available fragments of the commentaries on the Cārvāka-sūtra clearly reveal their authors’ acumen as logicians, and to think that they could lead the life of debauchees boggles the mind. [i] For details see R. Bhattacharya, Studies on the Cārvāka/Lokāyata, chap. 6. [ii] Kamalaśīla, TSP verse 1864, mentions two approaches to the interpretation of an aphorism that contains no verb. One commentator supplied the verb “is born” after the subject, so that it reads “consciousness is born of these (elements),” while another commentator explained the same aphorism as “consciousness is manifested from these (elements).” Since Kamalaśīla uses the plural in case of both, it is not clear whether he means two individual commentators (the plural being honorific) or two groups of commentators (each group having some adherents of its own). As no names are mentioned it is impossible to decide who Kamalaśīla had in mind. [iii] Kshitish Chandra Chatterji ed., Patañjali’s Mahābhāṣya. Paśpaśāhnika with English translation (Calcutta: A. Mukherjee & Co., 1972), K. V. Abhyankar and Jaydev Mohanlal Shukla ed., Patañjali’s VyakaraHa-Mahabha+ya, Ahnikas (Pune: Bhandarkar Oriental Research Institute, 1975), 1–3. Patañjali, Mahābhāṣya, chap.1, Calcutta ed. 18, Pune ed. 13. [iv] Sāyaṇa-Mādhava, Sarvadarśanasangraha. ed. K. L. Joshi. (Ahmedabad/Delhi: Parimal Publication, 1981), V. Shastri Abhyankar ed. (Pune: Bhandarkar Oriental Research Institute, 1978) (reprint). [v] See R. Bhattacharya, “Verses Attributed to Bṛhaspati in the Sarvadarśanasaṃgraha: A Critical Appraisal,” Journal of Indian Philosophy 41 (2013): 615–630. [vi] Dharmakīrti, auto-commentary on the Pramāṇa-Vārttika, chap. 1 (Ilahabad: Kitab Mahal, 1943), 617–618. [vii] Both the rites involved slaying of animals, which was anathema to the doctrine of non-injury (ahiṃsā) of the Buddhists and the Jains. The Cārvākas too were opposed to postmortem rites, for they regarded them as useless (since there can be no life after death) and no benefit can accrue from the performance of yajñas, for there were no gods to grant the sacrificers’ prayers. In spite of all this, the two religious communities clung to the idea of rebirth, after-life (paraloka) and the mysterious effects of karman and adṛṣṭa. [viii] Śrīharṣa, Life of Naiṣadha 17. 40, 42, 58. Naiṣadhacarita. ed. Sivadatta and V. L. Panshikar. (Mumbai: Nirnay Sagar Press, 1928). K. K. Handiqui trans. (Pune: Deccan College Postgraduate Research Institute, 1956). [ix] For details see R. Bhattacharya, “The Social Outlook of the Cārvāka/Lokāyata: A Reconstruction,” Indologica Taurinensia 36 (2010): 37–42. [x] Horace, Epistles 1.4.16 in Epistles (London: William Heinemann, 1926). See also Paul Harvey, Oxford Companion to Classical Literature (Oxford: Oxford University Press, 1984), 162. [xi] Mādhava, Compendium of All Philosophies. Pune ed., p. 2, lines 17–18. [xii] Jayantabhaṭṭa, Nyāyamañjarī, part 1 (Varanasi: Sampurnanand Sanskrit Visvavidyalaya, 1982), 388, translated in Cārvāka/Lokāyata, ed. D. Chattopadhyaya and M. K. Gangopadhyaya (New Delhi: Indian Council of Philosophical Research, 1990), 157. This is the only school which has supported character, growth and health. A prey of academic scam it was labeled as hedonist and worthless. None thought of decoding it's sutras. Unbiased research was never done.